After much hemming and hawing and like 10 questions from my hubs about what I’m going to do with all of it, I finally Googled “what to do with vegetable oil I won’t eat” and came up with 5 ideas I might consider besides making bio-diesel. Use it to prevent clippings from sticking to the lawn mower. Rub some under the housing and on the blades – it will help prevent build up. Keep some around to remove stickers and labels off of stuff. Use it to remove paint from your skin. Rinse thoroughly with soap and water. 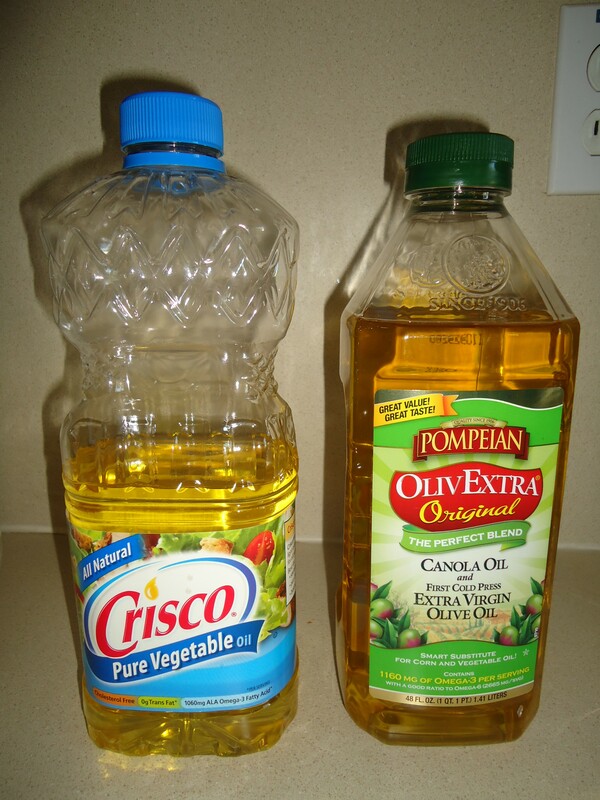 Make a household wood cleaner with veg oil diluted in a bottle with a little water and a squirt of lemon juice. Most of these ideas came from a Reader’s Digest article. I like that I can save some cash by using it as a wood cleaner and label remover which is cool (instead of buying GooGone, Pine-Sol or an even more expensive natural alternative like the Seventh Generation brand). Otherwise I’m pretty underwhelmed with the alternate uses I found. Very disappointing, but I was expecting much I guess. And, now…what the heck am I going to do with this? !